NEW YORK (March 31): US stocks were slightly lower on Friday, dragged down by technology stocks as investors locked in gains of what is likely to be Wall Street's strongest first-quarter performance in four years. A raft of strong economic data and the possibility of fiscal stimulus under President Donald Trump have driven US equities to record highs since his election. The S&P is on track to gain 5.8 percent and the Dow 4.9 percent for the first quarter ending Friday, their biggest quarterly gains since 2013. The S&P technology index, which has outperformed other sectors with a 12 percent gain during the quarter, was off 0.2 percent. Financials were down 0.44 percent. The sector has risen the most in the post-election rally. 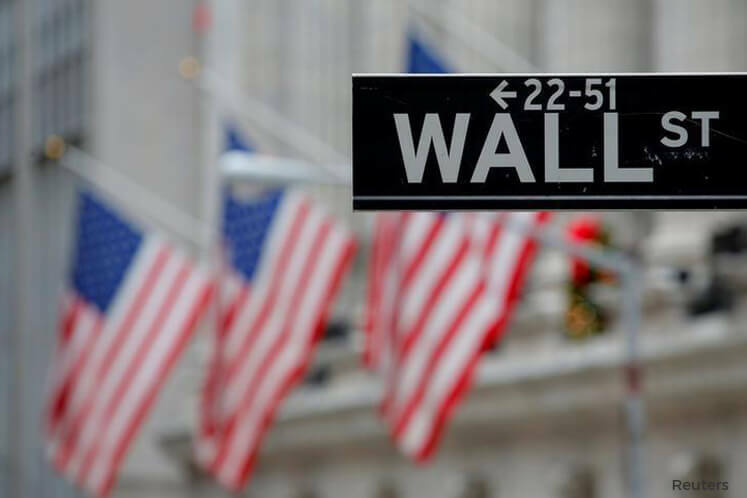 "It's been a decent start to the quarter for stocks, and so far the market has navigated a somewhat uncertain terrain with grace," said Adam Sarhan, chief executive officer at 50 Park Investments in Florida. "It's perfectly normal on the last day of the quarter and the last day of the month to see some profit taking, especially after a strong run." A Commerce Department report showed US consumer spending barely rose in February, but also pointed to the biggest annual increase in inflation in nearly five years. At 9.39am ET (1339 GMT), the Dow Jones Industrial Average was down 32.07 points, or 0.15 percent, at 20,696.42, the S&P 500 was down 3.4 points, or 0.14 percent, at 2,364.66 and the Nasdaq Composite was down 9.58 points, or 0.16 percent, at 5,904.77. As stocks continue to rise, investors are looking to the first-quarter earnings season to justify Wall Street's lofty valuations. The S&P is trading at about 18 times earnings estimates for the next 12 months against its long-term average of 15, according to Thomson Reuters data. Nine of the 11 major S&P sectors were lower. Amazon.com was the top stock on the S&P and the Nasdaq, with a 0.5 percent gain. US-listed shares of Blackberry were up 12.5 percent at US$7.83 after the company reported fourth-quarter profit above expectations and said it expected to be profitable on an adjusted basis in 2018. Declining issues outnumbered advancers on the NYSE by 1,349 to 1,119. On the Nasdaq, 1,327 issues fell and 810 advanced. The S&P 500 index showed two new 52-week highs and one new low, while the Nasdaq recorded 21 new highs and one new lows.